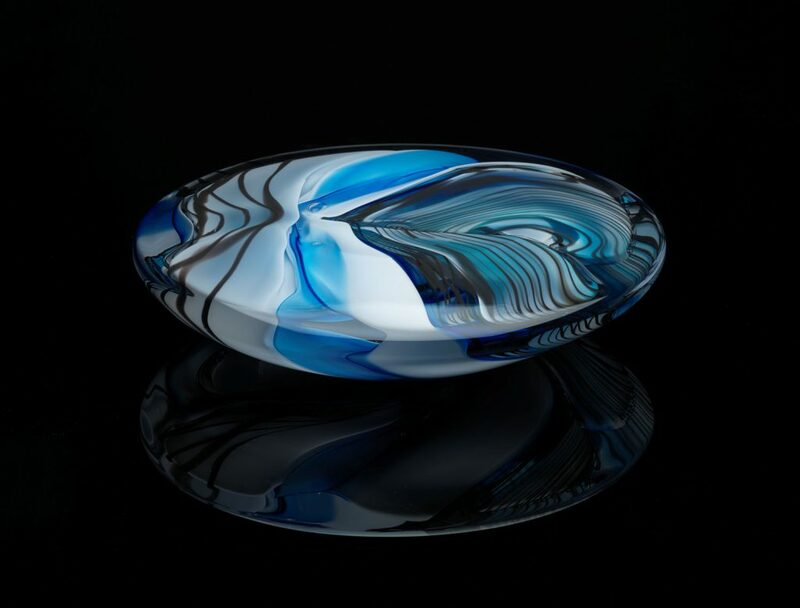 Elson’s glass sculptures are expressive in their form, provoking an emotional and intellectual response. She investigates form and volume to communicate and respond to the material, but also to create tension and contradictions. They explore our emotive worlds; experiences and memories that make us who we are. We all have several sides to our personalities and consciously or unconsciously, we reveal or keep them hidden. 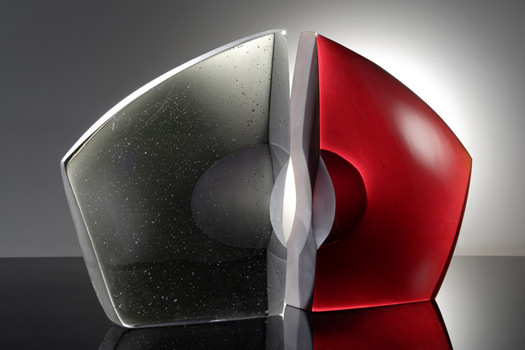 This concept is expressed through the use of curves, angles, line, colour and space.